The day the mobile phones became smartphones our lives were completely changed. Earlier, the mobile phones were used only for voice calling. However, today we use the smartphones for booking movie tickets, reserving a table at our favorite restaurant, conduct banking transactions, do online shopping, and so much more. Our smartphones have our social media profiles, our digital wallets, and our personal image library. If a mobile phone can accommodate so many things why can’t we use it for mobile trading? Here are 5 reasons why you should start to trade in mobile today! Mobile phones mean anywhere anytime. Using smartphones for trading purposes sets you free from the bondages of a physical location. You do not have to be sitting in front of your PC to trade online. You can look at the trends on your phone and if you decide to trade, you can do it while on the subway traveling to work or sipping coffee at your favourite breakfast place. You can just trade from anywhere. 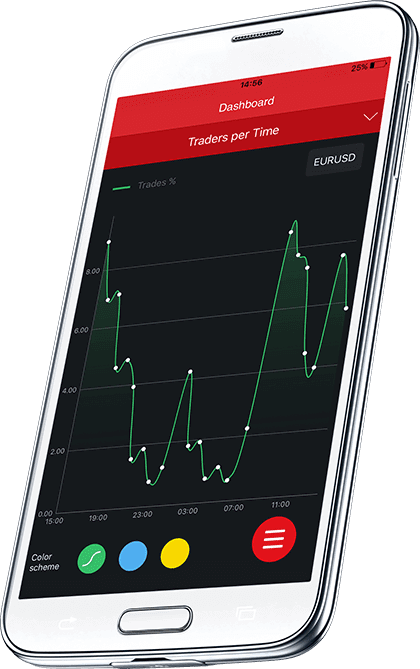 If you are not a new trader and already have an account with a broker then you can use mobile trading to enter your old account. You don’t have to open a new account to use mobile trading. Most brokers today offer mobile based access which makes it very convenient for traders. A lot of mobile trading platforms give a demo account to the user to try online trading. If you are somebody who is new to forex trading, then you are able to use this demo account to try and determine if trading is for you or not. If you make a decision to continue trading then you can use the demo account to hone your trading skills. The more you practice the better you can get at placing trades on different stocks. The key to successful trading is the ability to make informed decisions. You are able to make such informed decisions only if you are aware about the market movements. Most mobile trading platforms offer large number of tools and indicators that help a trader understand market trends better. These tools often help the trader make market related predictions which can help in making the right decisions at the right time. These tools also provide maximum information to the traders about the securities that they want to trade in. There is corporate as well as technical information available of the securities making it easy to make informed decisions. We have already seen that mobile phones offer anywhere trading facility to people. But what also needs a mention here is that mobile phones are highly compact. This means you can not only carry but also store your trading history in a compact manner. The better battery life of mobiles compare to laptops is an added advantage. So, do not wait any longer. 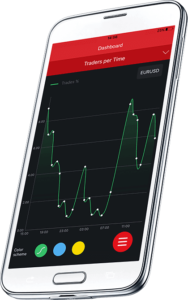 Get your own mobile trading platform and get started today! Next articleTez- A new Payments app – Why Google is Pouring Cash into its promotion?